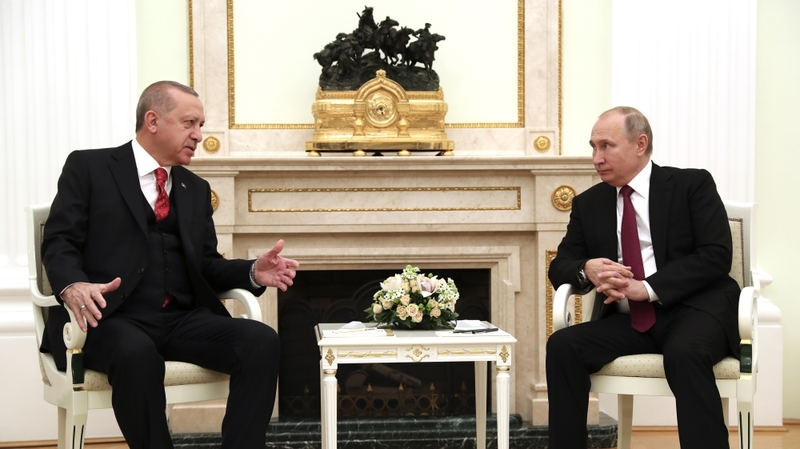 Russian President Vladimir Putin and his Turkish counterpart Recept Tayyip Erdogan said they have come to terms with the situation in Syria's Idlib province. Earlier on Wednesday, the Russian foreign ministry said the situation in the region, where Moscow and Ankara have tried to create a de-escalation zone, which is rapidly deteriorating and that it was almost under the full control of Hay'et Tahrir al-Sham (HTS). Ankara and Moscow are required to "liquidate the actions of terrorist groups. " In September of last year, Turkey pledged to disarm and remove HTS fighters in Idlib when a deal was signed between Turkey and Russia. Putin said he had agreed to host a Russia, Turkey and Iran could discuss the situation in Syria under the Astana peace track. The two leaders are discussing the situation in Syria as the United Nations. 1; including numerous armed groups backed by different allies – seek to gain control of territory. Ankara is looking to establish a 30km long safe zone along the Syrian border to contain a US-allied Kurdish militia that it considers a "terrorist" group. During Wednesday's joint press conference, Erdogan said the leaders did not disagree about this. Al Jazeera's Rory Challands, reporting from Moscow, said the two leaders have reached a concrete deal on two main issues – establishing the so-called safe zone, and the situation in Idlib. "The Russians are saying yes "He said." So Erdogan said it was of crucial importance that the US planned to withdraw from the war from Syria does not leave room for "terrorist" groups to roam freely. He added Turkey and Russia would continue to battle "terrorist" organizations in Syria's Idlib province.